I have returned from the east Tennessee and southwest Virginia area of our country. I thank the many “Friends” I had the opportunity to visit during my short stay. The interest continues to be very high among “Friends” back there and specifically the Emory & Henry College’s support for the “Pathway Project” is solid. Emory & Henry College is consistently ranked among the nation’s best private liberal arts institutions. The College’s many accolades include the Presidential Award for Service Learning, the highest national recognition for community service and service learning; top tier recognition in Washington Monthly, USA Today, Newsweek and is also listed among the top 40 schools in Colleges that Change Lives…just to name a few. “Friends of Copey” is extremely fortunate to be affiliated with an institution that is among the best at “changing lives”. I still hear from “Friends” about the student letters I have posted. Yes, they are very special and there are still more letters I could share. But, I will only pass along one more. This letter from nine year old Antuan struck me for a variety of reasons. He shares information about his family and his youthful interests. Sounds much like a typical nine year old who enjoys computer games and movies. This is Antuan’s time as a youth but as he grows a little older, serious challenges will confront him as he contemplates his future. Will he graduate from high school or dropout? We are hopeful learning English and being involved with the Copey Learning Center will make a significant difference for Antuan and others. Please know our help “makes a difference”. This is graduation week in Copey at the Learning Center. Congrats to all the students! I am very sad to miss graduation this year but I have some very happy memories left over from last year. I will do all I can to return to Copey for next year’s graduation. And, I hope some “Friends of Copey” will attend the graduation with me and visit that magical and generous community where amazing things happen. 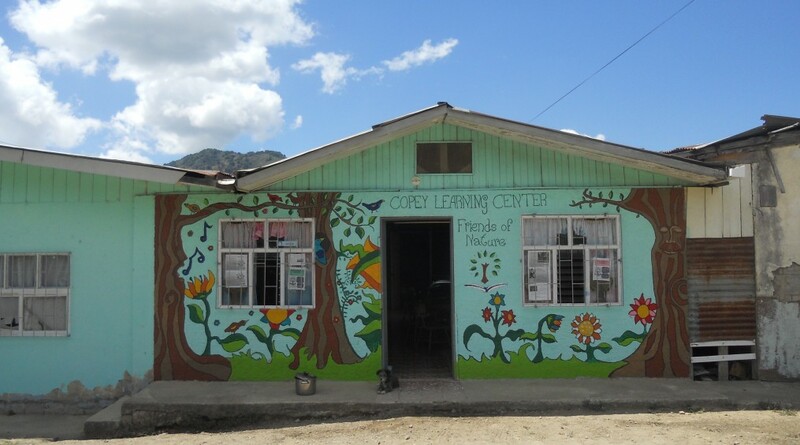 Soon we will enter our final month of our 5th official year of devoted support for the Copey Learning Center. There is a lot to reflect on. The year has been full of achievements and amazing surprises. The end of the year “scorecards” will be prepared soon and we will take a very close look at our performance. Thanks to All of You!